I love the peace at night. Little traffic. I've been able to sleep mostly for four hours at a time. Better than at home. And I can read in bed which I don't do at home because it disturbs someone. Especially the dog! 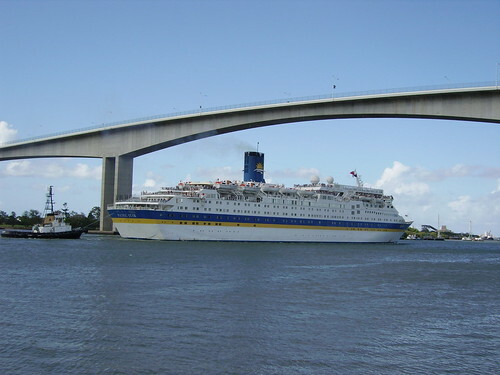 Yesterday, (Saturday) I had the two grandchildren to look after and we went to the new Portside to see the Pacific Star readying for afternoon departure. The girls loved seeing the big ship up close. Later we went to watch it go under the Gateway Bridge. Saw your my link on your blog but only this one so I'll just link this.